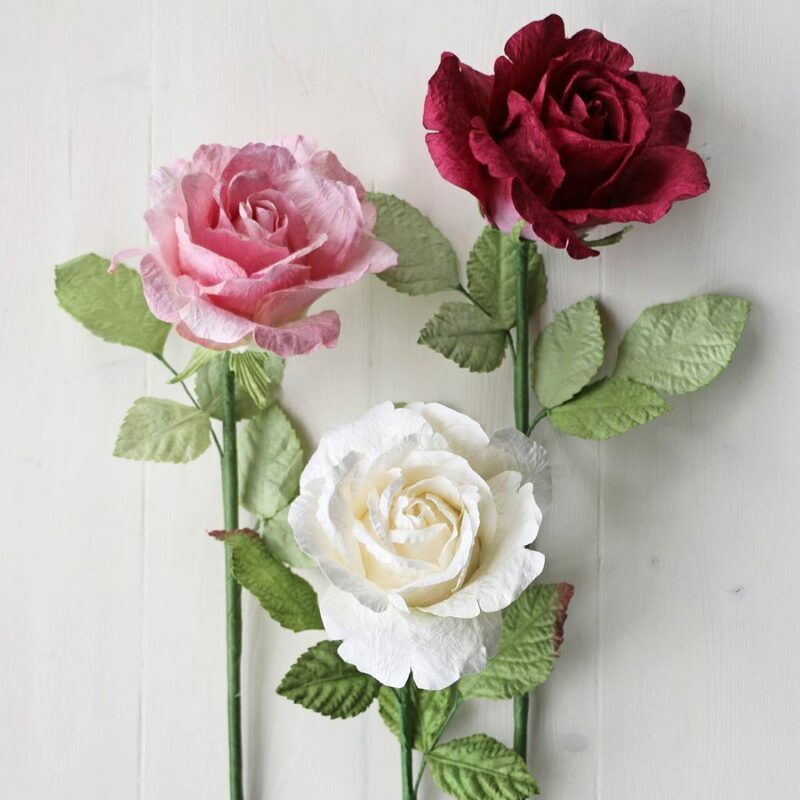 At Paper Tree we love paper roses! 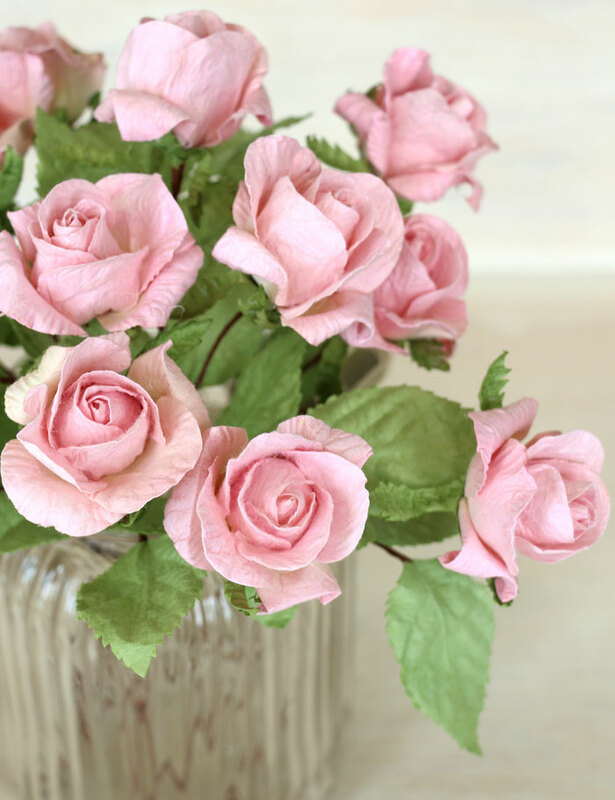 Many of our roses are handmade from mulberry paper which is a sustainable resource. The bark of the mulberrry tree is harvested and made into a natural paper, after the harvest the tree regenerates. The paper is then hand dyed and cut into petal shapes. 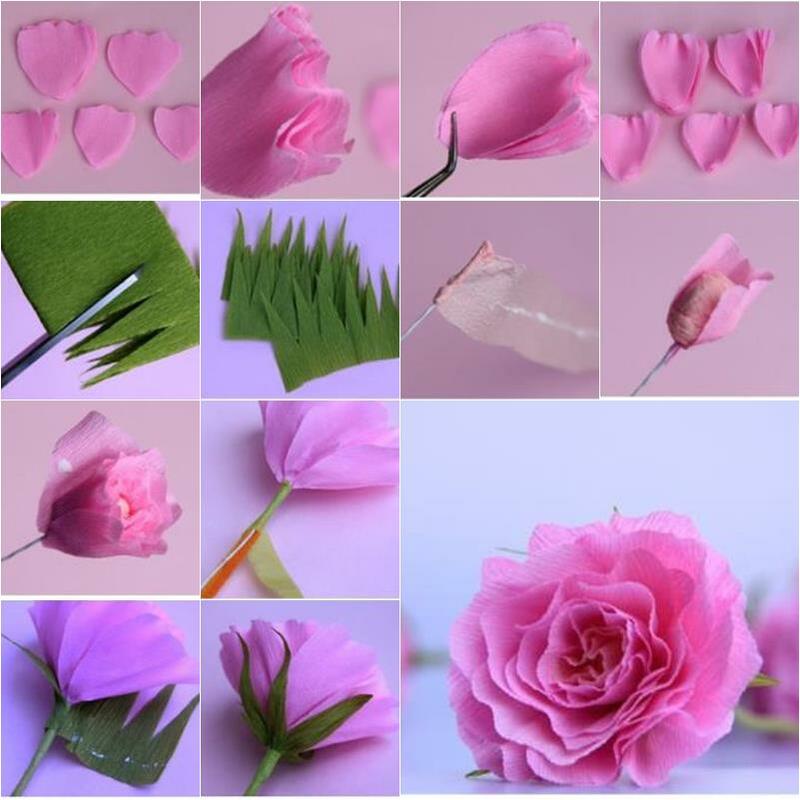 Each rose is constructed petal by petal to create a beautiful and realistic looking paper rose. 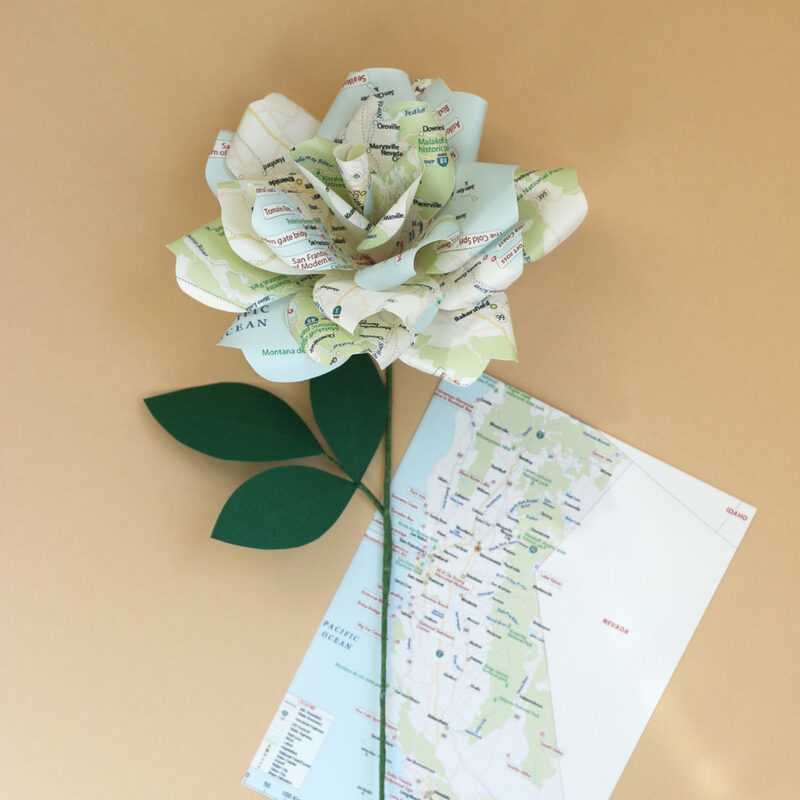 You can use any paper to make the roses, I was asked to make a personalised paper rose for a 1st wedding anniversary from a map of California. 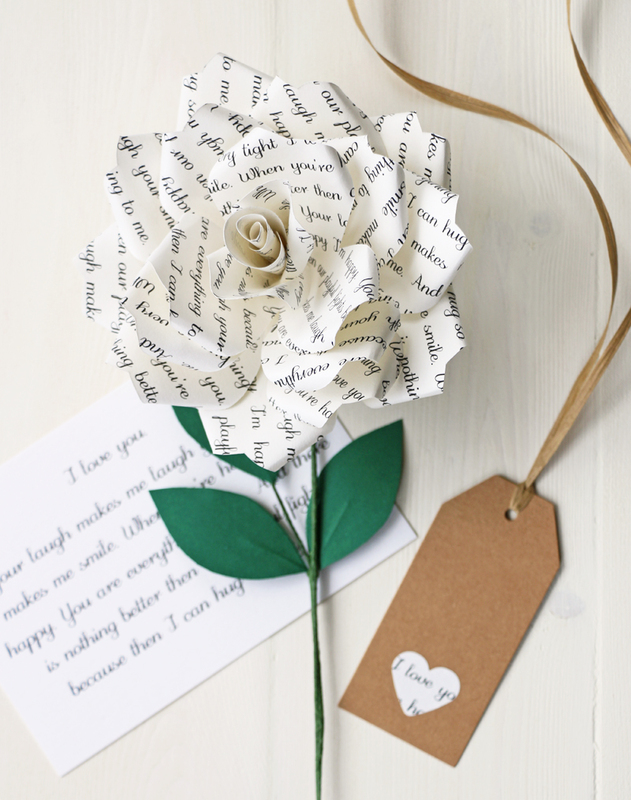 These roses with text can be personalised with song lyrics, poems, wedding vows or any personal message. They make a lovely personalised paper anniversary gift. You can order them via the website or please let me know if you have any questions. This entry was posted in Latest News and tagged book paper rose, map paper rose, paper rose, paper rose bouquet, Personalised Paper Rose.